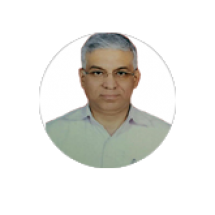 Dr. Sharma has immense experience as an Oncologist in treating all types of Cancer patients in leading centers in New Delhi, India. As a Professor of Medical Oncology, he is a specialist of blood and blood-related disorders including leukemia, myelodysplastic syndromes, lymphomas, multiple myeloma, amyloidosis, thalassaemias, bone marrow/ stem cell transplant, bleeding and clotting disorders, and sickle cell anemia, aplastic anemia, complicated anemias amongst others. Dr Sharma completed his MBBS in 1980 from IGMC Shimla. A post he joined the DNB and MD Medicine programme at AFMC Pune. He has over 30 years of experience of satisfied patients in his field. He has been the recipient of many awards in the field of hematology and oncology like- Chief of Army Staff Commendation - 2010, Chief of Army Staff Commendation – 2012, Chief of Army Staff Commendation -2013, Sardar PatelNational Award for Medical Sciences 2014.